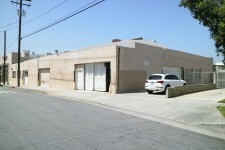 This great looking dressed garage is film ready. 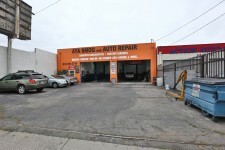 A classic car garage in the heart of Hollywood with tons of character and detail. 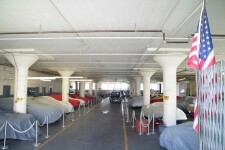 There is a retro car pit, 4 auto lifts, vintage sinks, brick walls, and plenty of set dressing. The property is a Production Designer's dream. 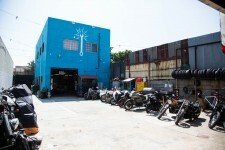 This Do-it-yourself motorcycle shop located just east of the Arts District in Los Angeles. 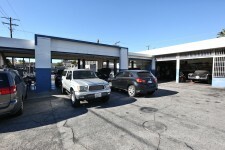 It features an open shop environment with nicely displayed tools and works for the look of a mechanic shop, custom bike shop, etc. 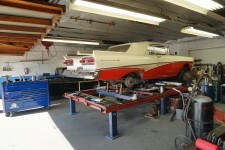 The beautifully restored car plant is over 50 years old, the detailed restoration photographs beautifully.